Nice lighter, very classy looking. Perfect size not too bulky. Just note because of the size you might have to continue filling up with butane. Gave this lighter as a gift to my son-in-law who enjoys a good cigar with friends. He loved the style and functionality. Great price for a quality gift. I've had 1 before and it was took. Lol. I love the small fits in my pocket and I will not have it leaking fluid because of the lid. It's ideal. Run good day and time to fill up. Feel like I am not going to be losing as much fluid that way.. I recommend it to all Black and mild smokers. This lighter looks the coolest. Love Visol Products. It is a great find at a low price. Lights cigars quickly and evenly. Sleek look as well. This one will get some good use this summer. Looks nice! 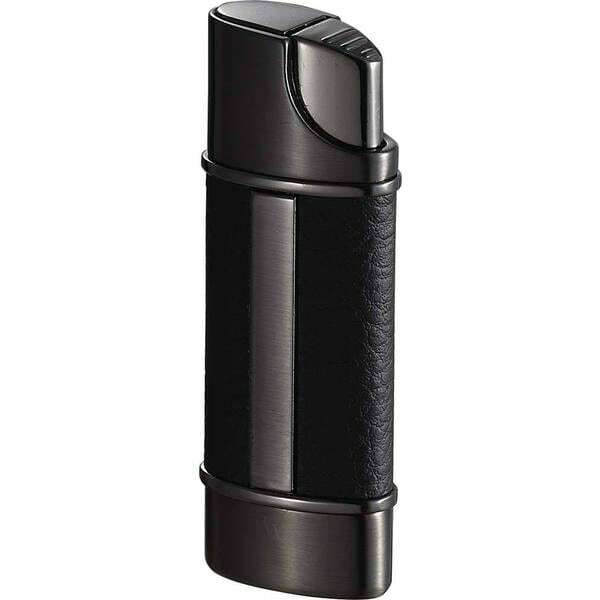 Good price for a well built lighter. Haven’t used it yet, looking for a place to get it filled. The lighter was delivered quickly as well. unreliable flame. And the twist controls are too difficult to access. This product is not made of gold or even plated gold and right there it tells me this item is way the f*** over priced...im like whaaaaaat??? ?